The Council on Nutrition is one of the largest academic specialty councils of the American Chiropractic Association (ACA). When Dr. Carl Miller discussed the opportunity with other like-minded doctors of chiropractic in the early-1970's, they joined forces and the council was formed in 1974. 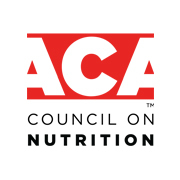 For over 40 years, the ACA Council on Nutrition has supported and developed events like the annual symposium, the bi-monthly newsletter and the quarterly journal, Nutritional Perspectives. From the beginning, the Council has promoted deeper knowledge and use of nutrition in the practice of chiropractic. Gain and grow from our experience. Contact us today and we’ll answer all your questions.